The program organizes numerous activities and visits both to introduce students to the great monuments of French culture and to help them understand the working realities of everyday France. Visits to a bakery and a cheese shop (followed by a cheese tasting), a wine tasting, and a cooking class in a French home provide an introduction to French « gastronomie ». We organize guided visits to major exhibits, evenings at the ballet, opera, theatre, or shows, and dinners and receptions at Parisian restaurants, Reid Hall, or in the director’s home to which French students, the French families, and professors are invited. Several Reid Hall courses include museum and gallery visits, excursions to sites in or near Paris, and regular theatre evenings. Excursions outside of Paris to such places as Chartres, Rouen, Giverny, Vaux-le-Vicomte, Fontainebleau, Milly la Forêt, Barbizon, and Reims and Epernay are an integral part of the program. Such excursions typically involve picnics, guided tours, and meals featuring regional specialties. The VWPP also offers a stipend to each student to reimburse their weekly extracurricular activities, museums, monuments and cinema entrance fees, week-end excursions or vacations organized through French organizations. Because it is easier to become acquainted with people who share one’s interests, we encourage students to integrate themselves into French society by participating in some regularly scheduled extracurricular activity: they should join an athletic team, a choir, or a hiking club, for example, or take dance or art classes. We help students find these groups and opportunities and get in touch with them. The above- mentioned stipend can be to help pay for such activities. Students may participate in an Intensive Immersion Project during vacations or long weekends. Hiking, horseback riding, canoe-kayaking, windsurfing, intensive yoga classes, master classes in dance or music, archeological digs, and stays in chambres d’hôtes in a specific region of France are just some of the programs in which VWPP students have participated during the last few years by enrolling in stages organized by associations like l’UCPA, Rempart, Chevalvacances, and Gîtes de France. 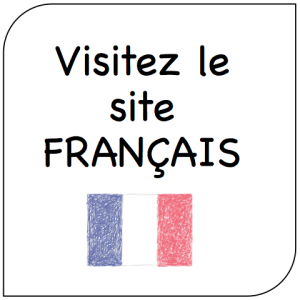 The main requirement is that the student be immersed in an exclusively francophone environment. Students find that they discover another region of France, speak exclusively French, and make friends on these immersion experiences. We help students find programs of interest to them. Students who are interested in an Intensive Immersion Project should contact the VWPP early on to discuss the possibilities and should plan to spend part or all of a vacation (Toussaint, winter or spring) participating in it.